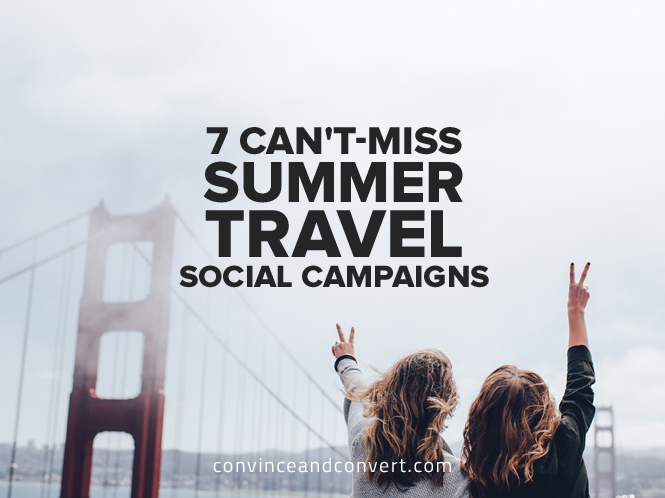 The summer travel season may have come and gone this year, but if travel marketers have anything to do with it, those memories—and clever campaigns—will linger well into other seasons. So who best inspired our wanderlust this summer? Here’s a round-up of seven can’t-miss travel and hospitality campaigns from Summer 2016. Taking a page from the “Best job in the world” campaign from Tourism Australia, WOW Airlines offered its Snapchat-savvy fans a chance to win the ultimate summer trip to some of the airline’s 28 destinations between June and August. Dubbed the world’s first-ever SnapTraveler program, the campaign asked applicants to create a Snapchat story in English under two minutes in length, save the video file, and upload it to the company’s contest microsite for a chance to win. Four winners were selected from around the world and spent the summer creating content for the company’s social media channels, including Snapchat. The results? Personalized and unique to each winner in the best possible way. It’s time for @thechiefadventurer ‘s last trip as a #SnapTraveler. Tune in and join her as she snaps her way through San Francisco! ?? To combat negative or inaccurate perceptions that prevent travelers from visiting Minnesota, the state cleverly fought back with its “Minnesota in a Box” campaign. Led by Explore Minnesota Tourism, the tourism board created installations in steel shipping containers showcasing the state’s best assets. The best part? People could step inside the containers, touch, feel, sit on objects, and were encouraged to snap photos of themselves doing so. Dubbed “MNstagram booths,” these boxes generated 1.25 million impressions following visits to Chicago, Denver and Kansas City. Getting foreign currency for you vacation typically is an uninspiring task—until now. In a clever video, Great Britain’s Post Office swapped its employees with actual magicians and then filmed the consumer reactions live, making an otherwise mundane task a magical moment. While not all Post Office employees are actual magicians, the video is a nice visual storytelling example showcasing just how easy the Post Office’s money conversion services are to use. In celebration of summer’s spontaneous travel moments, Booking.com encouraged its Facebook, Twitter, and Instagram fans to submit their best photos with #WingIt for a chance to have their images turned into super cool GIFs. In order to give fans the best GIFs possible, the company hired four well-known GIF artists: James Kerr, Cari vander Yacht, Chris Timmons, and Justin Gammon. All images and GIF winners are hosted on a dedicated microsite and across Booking.com’s social media channels. The campaign offers a good reminder of how a company can take a UGC contest to the next level. Sometimes inspiring a summer holiday calls for a higher power. 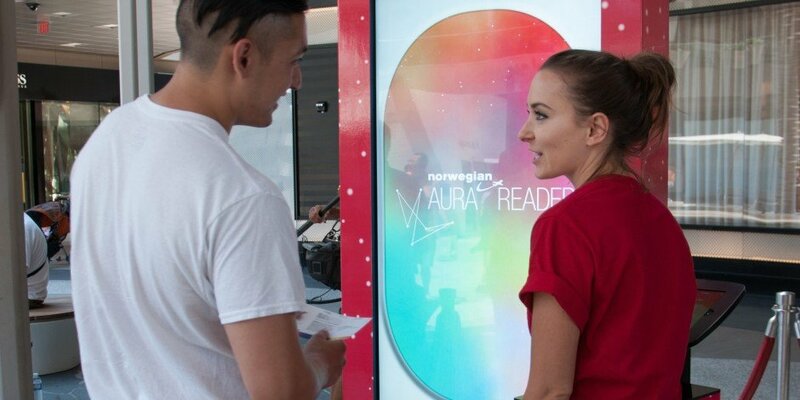 As a way to raise awareness for its flights between the U.S. and Europe, Norwegian Airlines developed a high-tech “Aura Reader” installation at Santa Monica Place in Los Angeles and Fort Lauderdale’s Aventura Mall. The Aura Reader registered a person’s temperature and pulse and printed a ticket with a personalized recommendation of where the person should travel to based on their aura color. For travelers unable to get their aura read in L.A. or Fort Lauderdale, Norwegian Airlines also developed a web aura reader with a sweet incentive: Travelers could visit the site and take a photo (or upload their own) and get their aura read for a chance to win two non-stop, economy round-trip tickets from any US gateway airport serviced by Norwegian Air to any Norwegian Air destination in Europe. Talk about potential karma points! What were your favorite summer travel campaigns? Share them in a comment or on Twitter!